Responsible tourism is about making places better to live in, and therefore also better to visit. It’s usually pretty easy, if you’re aware of the consequences of your travel decisions. Also called sustainable tourism, it means maximizing social, cultural, environmental and economic benefits while minimizing related damages. Travellers, governments and their tourism commissions, travel businesses, and local residents all have intertwining roles. Understanding the positive and negative consequences of tourism, and of the individual actions of the players, is the key to improving destinations for the short and long term. For S.E.E. Africa Magazine, The pearl of the Pearl of Africa: Uganda’s mountain gorillas, about trekking with mountain gorillas in Uganda. Tourism helps protect the gorillas, and the gorillas help protect the people who live near the gorillas (low res PDF version). High-res version, starting at page 38, via Issuu. For Fodor’s, 10 things you need to know before you go to Cambodia, with tons of tips about how to have a great trip with as few negative effects to the country and its citizens as possible. For the UK newspaper, The Independent, Canadian hotels offer free stays to bear hunters willing to renounce their guns, about two resorts in BC’s Great Bear Rainforest who have devised an ingenious way to save the lives of Canadian bears. Now that Donald Trump is U.S. president, many people are saying they will boycott travel to the States. Is boycotting the best way to show a government you don’t agree with its policies (and the hate speech of its leader)? I don’t think so, and explain why in this article for The Wayward Post: Visiting “Flyover America” in a Trump world. Countries with a rapid rise in tourism are at risk. Because of the US embargo, Cuba is even more at risk. For The Wayward Post, US embargo on Cuba: What American travellers should know: breaking down some misconceptions about Cuba, particularly for Americans’ first visit. Turning life around, a “4 questions with” profile on the most amazing monk you’ll ever meet, Hoeurn Somnieng, (for Singapore Airlines’ regional in-flight magazine, SilkWinds) and the backstory. Eat tapas bugs paired with cocktails, including how to respect Cambodia’s history and culinary traditions. Take a cooking class that helps locals, including responsible tourism tips. Support female Cambodian chefs, with some tips on how to support responsible tourism. Did you know that by avoiding getting scammed, you help a local economy? For TERN Magazine, Five scams I always avoid and the one that got me. And the French version: Cinq arnaques auxquelles j’ai toujours échapé et celle que je n’ai su éviter. How to avoid bad “charities” and other scams, Think you’ve been conned? (for SilkWinds, Singapore Airline’s regional in-flight magazine). How to save cash in Cusco (for Canadian Traveller, winter 2015-16) — why it’s good for you AND for local residents when you to spend wisely when you travel. Respecting the culture you’re in also means knowing what the rules are around eating. For Second Chance Travels, here’s International dining etiquette, so you know how to eat around the world without committing any faux pas. Need to know etiquette rules about travelling in Southeast Asia (and some are enforced by fines! ), and the direct link to my Canadian Traveller article: What do you mean, I can’t wear my tanktop at Angkor Wat? Applying to most of Southeast Asia, my Fodor’s article 10 things you need to know before you go to Cambodia. Worried about accidentally offending someone when you travel? You should be, as there are many faux pas to make. Fear not, they can be easily avoided with a little foreknowledge. Here’s my A global guide to public displays of affection, for TERN magazine. Illustrations are by Alice Clair. More tips on public displays of affection, for Together Magazine: How to kiss around the world. Pack smart for Southeast Asia, practical tips for what to bring to dress comfortably and respectfully in this hot and humid, predominantly Buddhist region (for Singapore Airlines’ regional in-flight magazine, SilkWinds). There’s a beautiful Buddhist ceremony in Laos that is on the verge of being ruined by tourists: Heritage at risk: Luang Prabang’s Tak Bat ceremony (for The Wayward Post). Dear travellers to Cambodia: Please don’t come visit until you’ve understood these 9 things (for the Matador Network). And to read my 10th tip which was edited out: Dear travellers to Cambodia: Please don’t come visit until you’ve understood these 10 things. How to travel respectfully in a Buddhist country. The respectful tourist’s guide to Tak Bat, the Buddhist alms-giving ceremony. On behalf of all tourists, I apologize Luang Prabang. How you can help The Africat Foundation rehabilitate cheetah and leopard, at Okonjima in Namibia, for Montecristo Magazine: Saving cheetahs, from VERY close up. How to shop responsibly, Southeast Asia edition: the choices you make affect the destination you’re visiting, the people who live there, and the people who will travel there in the future (November 2016 edition of SilkWinds, the in-flight magazine for Singapore Airlines’ regional airline, SilkAir). The perfect travel clothing — magic shirts that rarely needs washing yet keep stains and stink away, thanks to environmentally-friendly Filium technology. Read about Ably Apparel in Packing light. At Glasgow’s The Beauty Kitchen, you can buy — or make your own bespoke — 100% natural beauty products, plus help seahorses and Ugandan rhinos too! For The Wayward Post, Natural and bespoke: Glasgow’s The Beauty Kitchen. How to survive the medinas of Morocco: you don’t need a guide, but you do need to know how to bargain and understand the culture of the medinas (for Passport Health). Where you decide to eat matters too: A guide to foraging in Glasgow, Scotland, about Glasgow restaurants where foraged foods, the ultimate local food, are on the menu (for The Wayward Post). 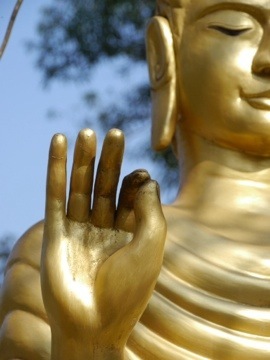 Advice for Luang Prabang, Laos in Beyond the monks and the mountain (for New Jetsetters). General advice about how to negotiate prices wherever you travel, How to save cash in Cusco, for Canadian Traveller. 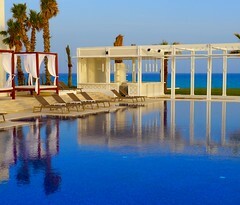 Hotels that support sustainable tourism for The Wayward Post. Why is everyone so freaked out about the Zika virus? There’s lots of misinformation about the Zika virus. I explain how protecting yourself from mosquito bites best helps control the spread of Zika, and of the much more dangerous dengue and malaria viruses. You thought that Zika was a health issue, but it’s also a responsible tourism issue: Everyone is freaking out about Zika — should I? (for World Nomads). My World Nomads article Should I travel after a terrorist attack? helps you figure out the real risks about deciding to travel to a destination that has had a terrorist attack. It also discusses how your travel decisions affect the people who live in the cities and countries terrorists have targeted, and how global decisions to combat terrorism make the world a less safe place to travel. 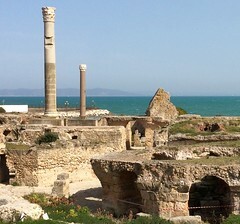 Tragedy and tourism: Tunisia’s Bardo Museum (for The Wayward Post). How to walk in Asia (SilkWinds, the in-flight magazine for Singapore Airlines’ regional fleet, March 2016 issue). Good planning makes you safe and secure: The essential steps for travel planning, with special advice for Canadians, for Passport Health. How to avoid altitude sickness in Peru, for Passport Health. For Passport Health, How to avoid traveller’s diarrhea — I bet there are tips here you didn’t know! Turn Off Your Engine at the Waterhole (and Other Tips to Stay Safe in Namibia), for The Travelettes. In this article by Elizabeth Seward for Bravo TV’s website, I’m quoted about food safety at buffets (strangely connecting my current travel life with my former food safety life): 5 unappetizing things you didn’t know about all-you-can-eat hotel buffets. Packing light means an easier trip. For Men’s Journal, my fave products for packing light, including a magic shirt that rarely needs washing yet keeps stains and stink away. Pack smart for Southeast Asia, practical tips for what to bring to dress comfortably and respectfully in this predominantly Buddhist hot and humid region (for Singapore Airlines’ regional in-flight magazine, SilkWinds). What do you mean, I can’t wear my tanktop at Angkor Wat? (for Canadian Traveller). When westerners travel to developing countries, it reminds us how lucky we are to live in strong economies with strong democracies, and prompts us to want to give back. There are many ways to do this. However, there are more ways to cause damage than good. For Fodor’s: 10 things you need to know before you go to Cambodia. Promoting literacy is a great way to give back when you travel. Ideally you will buy books at your destination (to ensure you get them in the language of need / education and to support the local economy). Please don’t mail books, though — the cost of postage alone would buy so much more if just donated in cash to the library or school you wish to support, and that way educators can select books based on their highest needs. A good organization to support is the Medina Children’s Library in Fès, Morocco. They need books in Arabic as well as cash donations to help pay for librarian salaries and rent. For more info, scroll down in this article I wrote about dining and other things to do in Fès. Another of my favourite literacy organizations is Big Brother Mouse, in Laos. Human trafficking: as westerners, we rarely have cause to think about human trafficking, but many people in the world aren’t so lucky. Read more about The Human, Earth Project, the story of M, and the documentary film Sisters for Sale. Donations to the project are always welcomed. Wayward Weekend stories, for the Wayward Post — great weekend stays, eats and activities that help make the places you stay better. A wayward weekend on the Garden Isle, Kauai. A wayward weekend in Chicago, for a sustainable weekend in what the mayor wants to make the “greenest city in the world”. A wayward weekend in Nashville, celebrating Nashville’s outdoors, art and history. A wayward weekend in Hot Springs, Arkansas, highlighting the gangster history, outdoor beauty and great food in this spa town. A wayward weekend in São Paulo, Brazil, a gentle introduction to the biggest city in South America. A wayward weekend in Montevideo, Uruguay, a weekend focussed on art, history, food, wine, architecture and Uruguay’s anti-elitist values. A wayward weekend in Vancouver, BC, Canada, highlighting ways you can support the less fortunate while exploring Canada’s most socially- and environmentally-conscious city. A wayward weekend in Siem Reap (Angkor), Cambodia, about the many many ways you can give back to one of my favourite countries, Cambodia. A wayward weekend in Buenos Aires, Argentina, how to travel in this city of protests, including a can’t be missed restaurant (UCO) and tips for exchanging currency too. Advice for hoteliers about what a westerner looks for in a hotel, for SEE Africa magazine: Hotel style for the western eye (low res version). For The Wayward Post, several sustainable hotels, not just green hotels, but ones that give back to the communities they’re in. Art of Local at SpringHill Suites (Canadian World Traveller, winter 2016-17 print edition). Trudeau is ready, but the public service isn’t (online version published October 20, 2015). Trudeau is ready but the Public Service clearly isn’t (print version published October 31, 2015). Why do I write about responsible tourism? As travellers we have a responsibility to not make the places we visit worse because of our presence and behaviour. We also have the power and opportunity to make them better too. Knowledge is power. Linking my new life of travel with my previous life as a policy executive with the Government of Canada, I write about responsible tourism wherever I can to help make the world just a little bit better. My writing is largely aimed at travellers, but I also provide consulting and advice to tourism commissions and partners in the tourism industry about how to enhance tourism. advice to travellers about how to travel more responsibly, minimizing damage to a local economy and culture (while I sometimes touch on environmentalism, there are plenty of other writers who have more expertise). Tourism is one of the most important industries in the world, particularly for many developing countries. Tourism touches upon almost every aspect of society and the economy, and is critical to helping developing countries become prosperous nations with citizens who thrive. I do my small part of sharing my knowledge with travellers and with the tourism industry. Travellers: What would you like to know more about to help you travel more responsibly? Comments welcomed below. Tourism commissions and tourism businesses: do you need advice about how to better appeal to western travellers or need help sharing educational messages to travellers to your destination? Please contact me at TravelEater [at] gmail.com to discuss how I can help. Great post. Thank you so much. I am a trekking tour operator from Nepal nepalkailashtrekking. com Nepal Kailash trekking is a reliable, service-oriented trekking agency in Nepal, specializing in Nepal trekking, nature, adventure, and trekking tours packages.